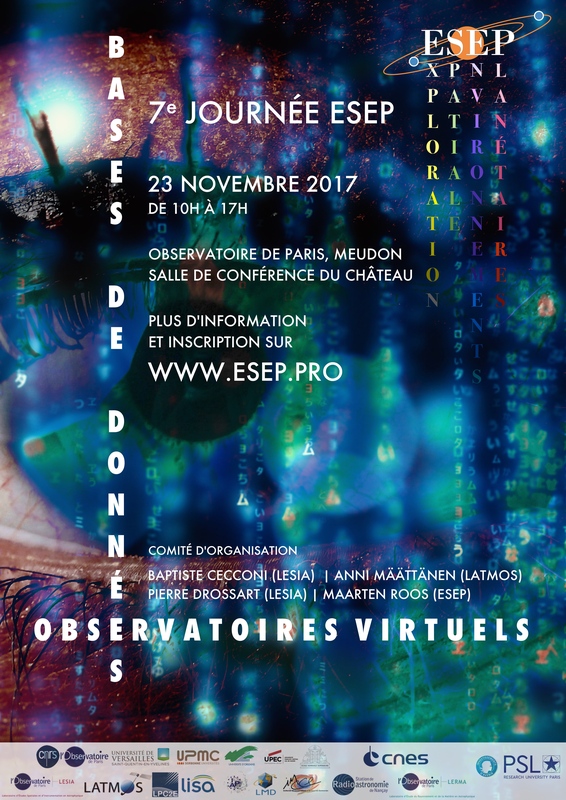 The Laboratoire d’Excellence ESEP brings together nine space laboratories in the Ile de France and Région Centre, on the thematics of instrumentation for exploration of planets, exoplanets and the interplanetary medium. The seventh ESEP meeting will be dedicated to databases and virtual observatories available to the scientific community. The large amount of data generated by modern space missions calls for a change in the organisation of data distribution and access. Although long term archives exist for telescopic and space-bourne observations, high-level functionalities need to be developed on top of these repositories to make Solar and Planetary Science data more accessible and to favour interoperability. Results of numerical simulations and reference laboratory data should also be integrated to support and help with interpreting the observations. The Virtual Observatory (VO) standards developed in Astronomy may be adapted in the field of Planetary Science to develop interoperability, including automated workflows to process related data from different sources. Other communities have developed their own standards (GIS for surfaces, SPASE for space plasma, PDS4 for planetary mission archives, etc.) and an effort to make them interoperable is starting. The goal of this meeting is to provide with an overview of the progress on the International Virtual Observatory Alliance and other VO domains, and present ongoing projects in Planetary Science and user cases of VO, GIS and SPASE applications with a focus on science activities. To register please visit the French meeting page.